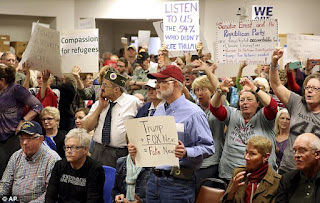 AFRICAN AMERICAN REPORTS: Message to cowardly Republicans who won't hold town hall meetings. Message to cowardly Republicans who won't hold town hall meetings. Here's a message to Republican congressmen and senators who are refusing to hold town hall meetings because they don't want to face angry crowds.